From Julia Roberts in My Best Friend’s Wedding to the made for-TV Revenge of the Bridesmaids featuring Raven-Symone, bridesmaids have been given a pretty bad rap in popular culture. The associations of jealousy, sabotage, and continual conflict may not be entirely fair, especially as there’s a noticeable gap of silence when it comes to male members of the bridal party. Pick your maid of honor first: Maybe this is common sense, but it’s an important piece of advice. That way, it’ll be clear from the beginning who will be the maid of honor, and have all the duties assigned to the position. It will also reduce the risk of competition for the role. If you’re worried about hurt feelings, it’s best to stick with a sibling, or close family member, for a maid of honor. Consider (a little) family imput: If you have a generally good relationship with your family, you’ll want to consider including some members, or asking if anyone wants to be part of the bridal party. That said, if your family is too involved, make the best decision possible. Too much involvement can also create drama. Show your appreciation: Make sure everyone knows they’re valued by giving them a gift for their help. It doesn’t need to be big or extravagant. Instead, focus on making it personalized and possible something they could use. Popular ideas include t-shirts or robes, charm bracelets, or tote bags stuffed with goodies. Even better: give them some handmade gifts! Let them in the know: Just as you should always be aware of you itinerary before, after, and during the wedding, it’s crucial you give everyone in your bridal party a heads-up for any events you expect them to attend, and enough ahead of time it won’t create problems. It’s a good idea to share even the day of wedding timeline, not only for their sake, but also for yours, so they can help with any possible mishaps. Don’t expect too much: This should go without saying, but unless you want to be accused of being a Bridezilla, you need to have reasonable expectations. That means making it clear what and when you want them to attend events, such as dress fittings and any festivities. If you do have a special request–such as wanting someone to help with makeup, for example, ask politely and do not push anyone to do anything they aren’t comfortable with doing. Better yet, take care of these things on your end, and let people volunteer, as good friends probably will. 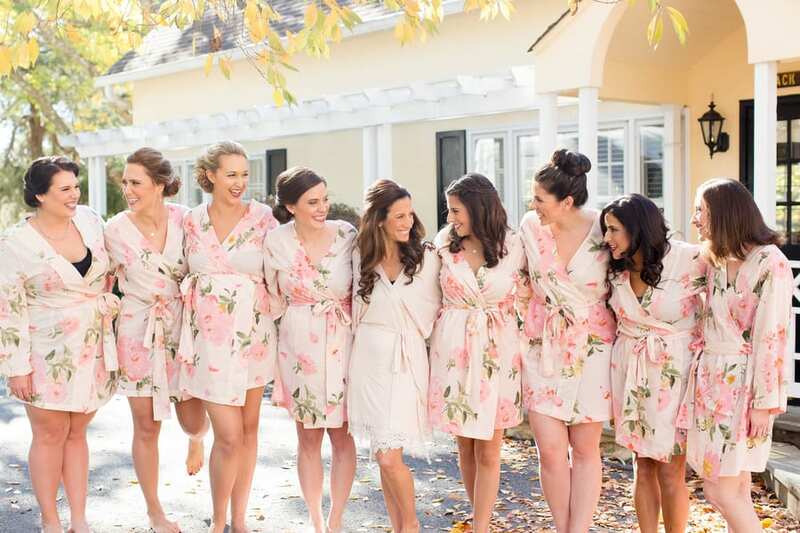 Make them feel extra special with gorgeous bridesmaid gowns they’ll love–you can also talk with a consultant before to ensure the appointment runs smoothly as possible.